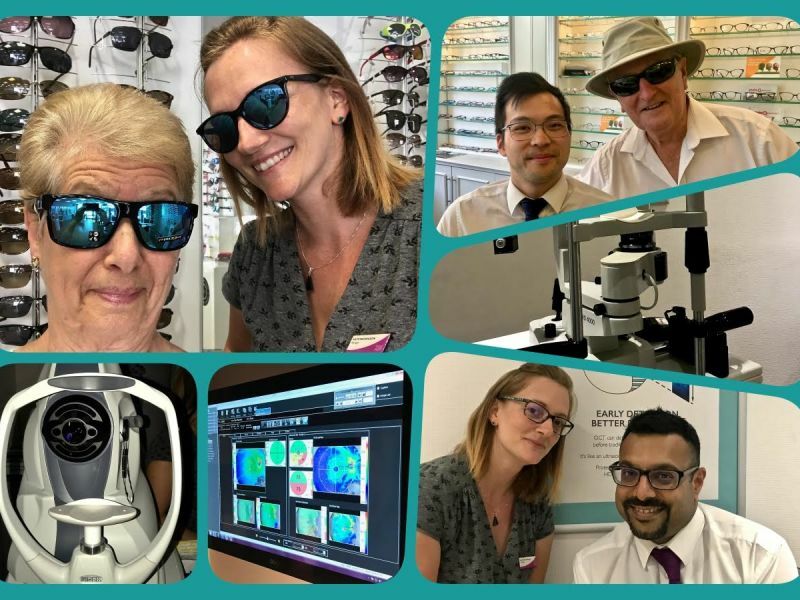 Every optical business, or indeed any business, loves to receive customer feedback, whether good or bad – although good is generally preferred! So the team at Leightons Swindon were absolutely delighted when one of their very loyal customers told them they featured in her “Blips” (an online journal service that encourages the sharing of posts and photos), and with a very positive write-up, too! In her journal, this customer uses the pseudonym “Honeycombebeach”, or “Mrs. HCB” for short. She fondly names her husband in her writing as “Mr. HCB”. Mrs. HCB’s visit to Leightons Swindon began with the pre-exam screenings. First up was the test of peripheral vision, which flashes up dots in front of you that you must react to with a button click when you see them. Peripheral vision deteriorates with glaucoma, so a poor performance on this test can be a vital early indication of the condition. She then had an OCT (Ocular Coherence Tomography) scan too, which takes a 3D image of the retina to show a clear cross-section of the layers at the back of your eye. The incredibly detailed view this scan provides can help an optometrist to diagnose serious eye conditions, such as macular degeneration and glaucoma, up to five years before traditional testing methods. After the scans, Mrs. HCB sat down for her eye examination with Raman, one of the optometrists at Leightons Swindon. After an in-depth discussion about her eye health and history, as well as the sight test of course, Raman was able to confirm that luckily very little had changed since her previous visit a year ago, although there were still some small points of concern that needed monitoring. While she was there, Mrs. HCB was also offered a free contact lens trial. Having never tried them before she decided to give them a go, and went for a little walk around the town wearing them. Although eventually deciding that they probably weren’t for her, she was pleased to have explored the option. Mrs. HCB enjoyed her time with Kate, the branch manager at Leightons Swindon, trying on lots of pairs of sunglasses (who doesn’t enjoy that? ), but Mr. HCB also wanted to purchase some prescription sunglasses, so he tried on quite a few too! He enjoys watching cricket, so the clarity of vision and comfort offered by prescription sunglasses is ideal for him. Leightons is able to provide sunglasses in prescription and non-prescription with no compromise on UV protection, with frames to suit all tastes and lifestyles. You can read Mrs. HCB’s full write-up of her visit on her blog. For more information on any of Leightons Swindon’s services, just give the team a call on 01793 522 586, or you can book an eye exam online.